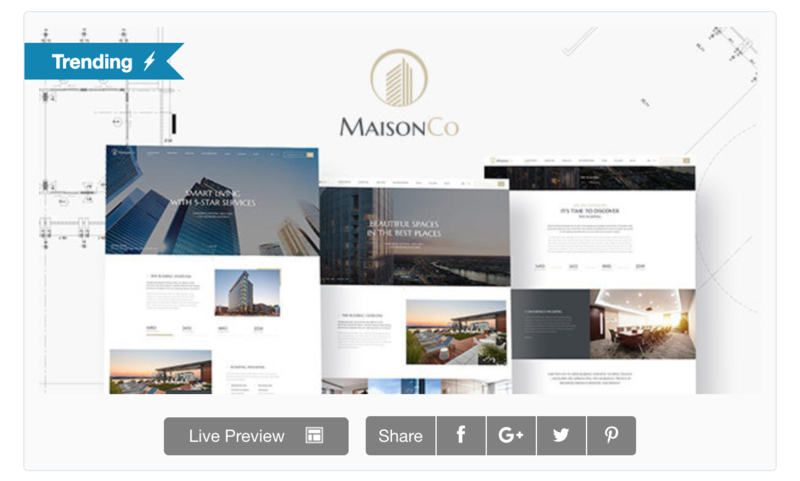 Reaching 20 sales in only ONE week, MaisonCo officially becomes one of Top 04+ the most popular Single Property & Real Estate WordPress Theme on the powerful Themeforest marketplace. If you are in the single property and real estate business, then you’re very interested in building an awesome, professionally looking and a cutting-edge official website for your successful company or agency to stand out from the crowd. MaisonCo can definitely meet all of your requirements and fit with your expectation. Released on early of January in 2019, MaisonCo had been developed dedicatedly with the most elegant appearance and so many powerful functions inside. 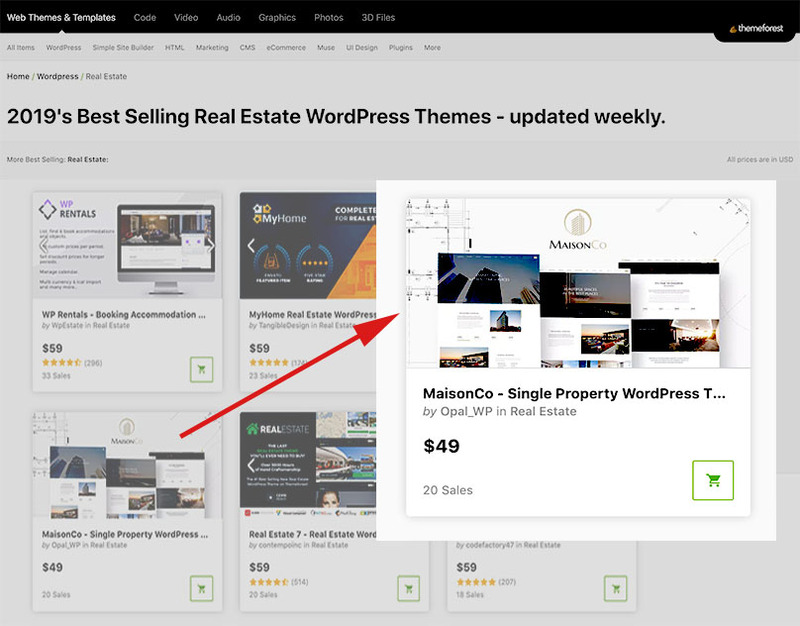 Let’s see the reason why it becomes top TRENDING real estate WordPress Theme in the short time. MaisonCo is right fit for Single Property & Real Estate Agency for Renting or Selling your Apartment, House, Villa, Farm House and Raw House. This theme packed with everything you need for single property and apartment complex websites with the showcase of all kinds of properties in an impressive manner, elegant style with effects & animations. It is integrated with drag and drop page builder – Elementor, Revolution Slider and so many powerful Theme Plugins & Options and easy to customize. Here are some features and functions is outstanding over others! That’s not all of MaisonCo’s strength. There are so much more beautiful & functional factors that it’ll absolutely win your heart. MaisonCo – One of the top-quality product designed to help you and your company to grow and develop is available here. We are Opal Team – dedicated to support and help you anytime you want.